In nostalgic moments, we might recall past eras when people only bought what they could pay for in cash. Interest rates and finance charges were alien concepts since few borrowed any money at all. Yet, for good or for ill, credit is now a central component of our economy. In the present, few are not financially indebted to some institution, though most everyone dreams of such freedom. In fact, many households are vexed about how to lessen their debt burdens. Happily, there are ways to do so with minimum pain. The fact is that many families struggle over how to pay off credit card debt. One obstacle is the lack of priorities among monthly outlays. At the bottom of that is confusion – seeing little daylight between debt payments and necessary expenditures. For instance, most households pay an electric bill at the same time every month. Thinking of this expense as you would a credit card bill is a mistake. An electricity account is never paid off (unless you manage to get off the grid). Installment loans and credit card accounts are lent money. The amounts have limits as does the term of usage. In taking out such credit, the customer obliges herself to pay the money back, at which point the loan or credit line is closed. Lines of credit, of course, can be renewed in most cases. Insurance, utilities, food and daycare – at any rate – are, like electricity, expenses. There is debt and there are credit cards. When contemplating how to pay off credit card debt, consumers should isolate secured loans like mortgages and auto financing from unsecured, revolving lines of credit. The rates and fees related to credit cards are higher and prone to fluctuate in a more pronounced manner. In fact, the average differences between the two kinds of debt can soar into double-digit percentage points. Another reason to keep credit card totals separate from other indebtedness is that secured loans like mortgages are tethered to property. A bank can call in your loan if you miss a single mortgage payment (they usually do not resort to such measures). On the other hand, missing credit card remittances can grow the debt exponentially through late fees and finance charges. The divergent penalties require that each category of debt be worked out apart from the others. The reason we separate expenses and secured debts from credit cards is accuracy. Even then, figures can be wrong. According to research by the Federal Reserve Bank of New York, most Americans undershoot their debt estimates by close to 40 percent. Gather your bills and total the outstanding balances. You can not take corrective action unless you understand the extent of the problem. 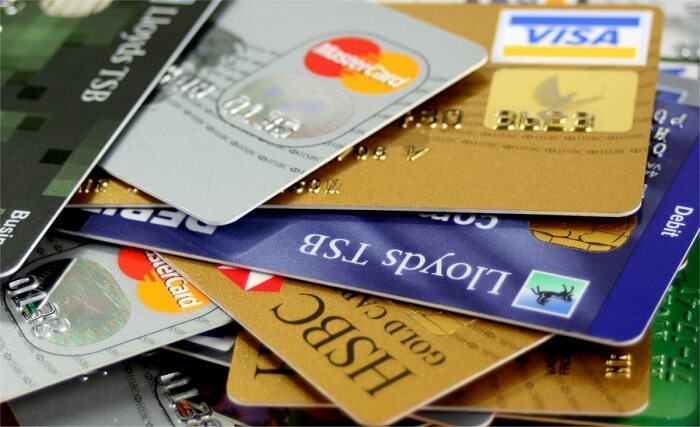 List your outstanding credit card balances from least to most (ignore interest rates). Make minimum payments on each bill except for the smallest; pay as much as possible on that. Once the most modest balance is paid off, pay more toward the next biggest debt while continuing to make minimum payments on the others. Ramsey affirms that thousands of dollars can be erased within the first three months. Key to the successful resolution of how to pay off credit card debt is to avoid additional obligations. Strange as it may sound, there are many who worry so much about getting behind on their bills that they assume more debt. Actions like this are often the fruit of anxiety…and slick marketing. Anyone unable to maintain minimum payments should not add to his or her financial burdens. What about borrowing against retirement funds or life insurance policies? After all, you paid into these programs. While you did contribute to them, withdrawn monies do not earn any interest until they return to the fund. Similarly, interest accrues on money removed from insurance policies. If unpaid, the company can curtail the value of the policy. The last thing anyone wants to do is talk to a bank’s customer service about payment delinquency and financial struggle. The whole conversation is awkward and uncomfortable. A word to the wise: it is well worth having that conversation. To be sure, the credit card issuer wants its money. Yet other factors are in play. Sending accounts into collections cost a bank or finance company money. Writing off a loan or credit balance does likewise. Many institutions prefer to work out reduced payments for hardship cases than pursue legal means of recovery. However, the customer must maintain communication. Cancel cable or satellite TV. Get spare funds out of your checking account and into savings. Devote any extra cash from raises to debt reduction. These are but a few things that help to cut credit card debt faster. Massive credit card debt comes upon us for one of two basic reasons: irresponsibility or misfortune. Either scenario puts the responsibility on the card holder. Paying off the accumulated obligations as soon as possible is the best way to save your credit rating and move on with your life. Being systematic about classifying and paying down the debts; maintaining communication with the lender; living frugally; and avoiding any further debt will deliver freedom early.